President Trump countered by criticizing Beijing for allowing the currency to “drop like a rock” and criticizing the Fed and a strong dollar. The yuan is currently changing hands at 6.769 to the dollar from a low of 6.812, in big part due to the dollar’s latest woes. The erstwhile high-flying dollar has dropped 0.65 percent on Friday after Trump kvetching about Fed policy and the continuing strength of the greenback. The Dollar Index had hit a one-year high prior to Trump’s latest tirade. The latest events suggest that the ongoing trade war between the U.S. and China might quickly degenerate to currency wars and put paid China’s pledge that it made about a month ago not to use the yuan as a stick against the U.S.
Beijing is no stranger to currency manipulation, devaluing the yuan or propping it depending on its objectives. Prior to the beginning of the trade wars in March, the yuan climbed about 10 percent against the dollar since the beginning of 2017, thus reversing three consecutive years of depreciation. The move was seen as Beijing’s effort to appease Trump and quell criticism that the world’s second economy had been suppressing the currency in order to gain an advantage over its trading partners. But things went south again after trade tensions between the two countries intensified. There’s no good reason to believe that China has any intention to stop managing its currency in the background according to its whims. 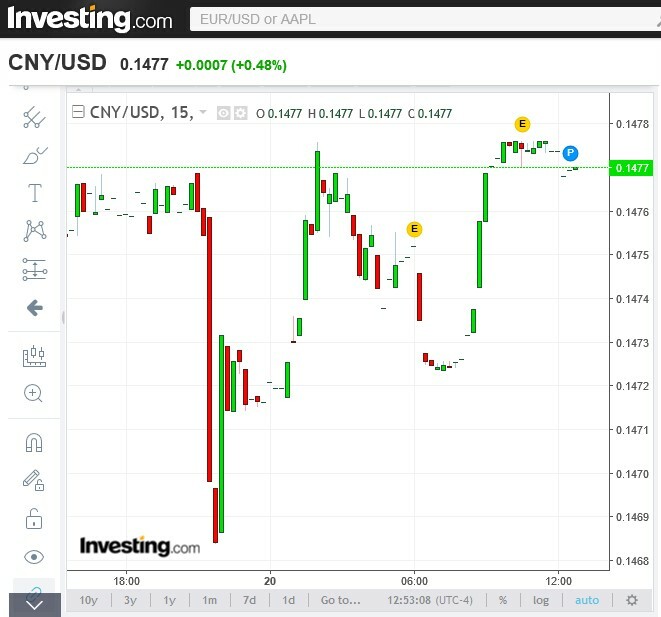 The country seems to have mastered the art of tinkering with the yuan, all the while keeping the RMB Index stable. The RMB Index, China’s equivalent to the Dollar Index, is a trade-weighted index hat pits the yuan against a basket of currencies including the euro and Japanese yen. The index remained relatively stable even as the yuan appreciated strongly against the dollar in 2017 and early 2018. So, China can still use the yuan to try and gain some leverage against the U.S. and probably be none the worse for wear. Back home, Trump’s highly unorthodox style of criticizing the Fed for its hawkish policy and the dollar’s strength has drawn comparisons to Turkish President Tayyip Erdo?an. Erdo?an is notorious for criticizing the country’s central bank and calling for lower interest rates in a desperate bid to gain political expediency and maintain his popularity. 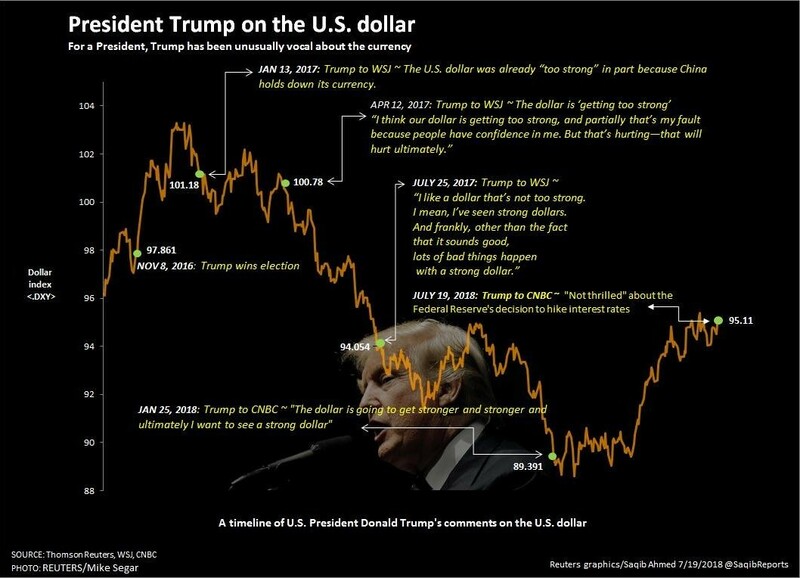 ‘‘The US dollar sold off across the globe [after Trump’s attack] and the question on every FX trader’s mind is; is the US becoming the new Turkey?